A British character-based comedy sketch show which was first broadcast on BBC radio and then turned into a television show. 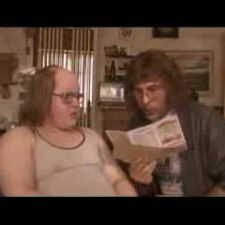 It was written and performed by comic duo David Walliams and Matt Lucas. The show's title is an amalgamation of the terms 'Little England' and 'Great Britain', and is also the name of a Victorian neighbourhood and a modern street in London. 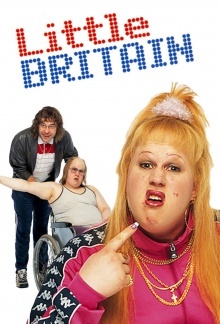 Little Britain run from 2003 to 2005 in England and then had a season in USA as Little Britain USA in 2007.